Are you in the market for a new wireless internet router? This guide will help you decide how to choose the best one to suit your needs. 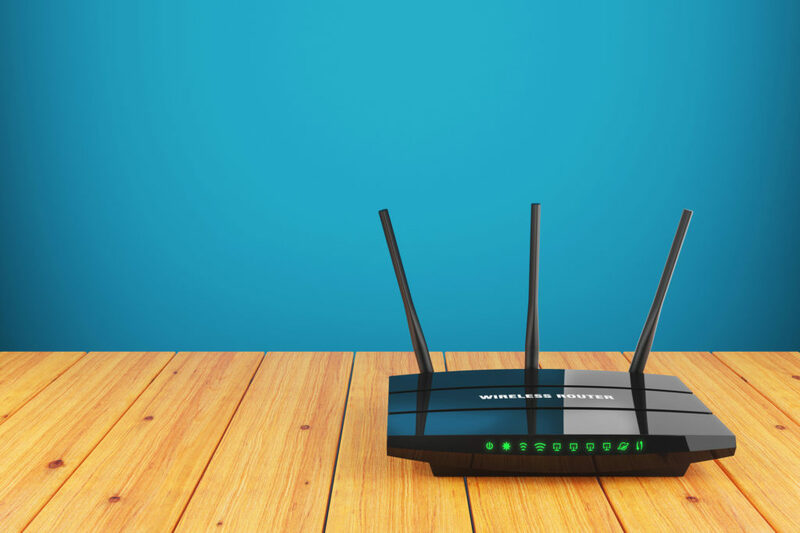 Getting a wireless Internet router is essential for any home or business with an Internet connection. It allows you to stay connected whether you’re on your phone or laptop, anywhere you go within the area. Before you go out and buy networking equipment, take a moment and consider what you should look for. There’s nothing worse than spending so much money only to discover the wireless router you bought doesn’t meet your demands and expectations. With that said, the first thing to know before buying a wireless router is to see if it can handle your Internet’s top speed. The average Internet speed in the country is at 18.5 Mbps. Most companies offer higher options like 100 Mbps or more. Know how fast your Internet is to make sure you get a wireless Internet router that can handle it. Most, but not all, current generation routers can handle 100 Mbps although some can go beyond that. Those are the ones to look out for if your top Internet speed can hit those upper limits. All versions work with each other. They are all forward and backward compatible. An 802.11n router, for example, will offer 802.11g speed to an 802.11g connected device. The important takeaway is that most of these versions are no longer in use. 802.11a to 802.11g are obsolete by today’s standards. The 802.11n is starting to phase out in favor of the 802.11ac version. When buying a router, look into its version and see if you’re getting the most recent one. It should be an 802.11ac router. When it comes to business, Internet speed is the priority. Second to that is the range. There’s no use in buying a router if you can’t access it the moment you’re only a few feet away. 802.11n routers focus more on optimal indoor and outdoor range. You can find such routers offering a limit of 150 feet indoors and 300 feet outdoors. 802.11ac routers work differently because they can enhance the range and router efficiency depending on the number of connected devices. With fewer devices connected, the router can enhance both range and strength of the signal. You may even need to consider mesh networking. This is when you use multiple routers to keep the signal strength throughout your home or office space. This is the kind of wireless network you’ll rely on when cheap Wi-Fi repeaters can’t get the job done. If your modem is in a far corner then even the most powerful router may not be enough. It won’t have the strength needed to push the signal through walls, floors, and ceilings. A mesh network will be the right solution. Make sure to look into the router you’re buying and see if it can support this type of setup. How many people do you expect will connect to your Internet using this router? An 802.11n router caps at 30 connection while an 802.11ac can connect up to 100 people. For most homes, 30 connections are already more than enough. If you’re using the wireless Internet router for business purposes, like in an office or restaurant, then 100 people won’t sound like too much. It might not even be enough for some. Always take the time to consider how many people will connect to narrow down your choices. Doing this is likely going to eliminate 802.11a to 802.11g routers since they’re getting obsolete these days. Security over a wireless network is a top priority. You don’t want hackers stealing credit card information and identity information because they can access your wireless network. Make sure the router you’re getting supports WPA2 encryption. WEP and WPA encryption are now obsolete. They phased out since the mid-2000’s and now all 802.11ac routers support WPA2 security features. Parents may also want a router with built-in parental controls. This can prevent children from accessing inappropriate websites. Businessmen, on the other hand, may want a router with a custom firewall that gives you control over what goes in and out through the network. Not all routers are the same. Some offer auxiliary features for your convenience. You might find one that supports network printers, for example. The most useful extra feature is data-accessing. Some routers allow you to plug in an external hard drive or USB flash drive. Any device connected to the network can then access the files on those drives. This is most useful for businesses. Employees with a Wi-Fi connected device can access new work files without having to plug into a computer or database. It is also useful for people with lots of entertainment files like movies. You can watch on any device without having to copy and paste from one device to another. Last but not least, you will need to consider your budget. Always make sure to get a wireless router that delivers what you need and want but is still within your spending range. There isn’t much point in future-proofing. Spending over $300 for a router won’t make sense. Even if you buy newer devices next year, the router you have right now will still serve fine. Do you have older, obsolete routers you want to get rid of? Do you need to sell old equipment to buy the newer, more powerful ones like an 802.11ac wireless Internet router? You can sell, trade, or consign networking equipment to us. It can save you a lot of money and you can get some of the best routers in the market at a lower price. Not sure how to get started? Contact us and we’ll help you sort what you can sell, what you can get, and speed up the trading process for you. You can even ask for a free quote and we’ll be happy to run an estimate for you.